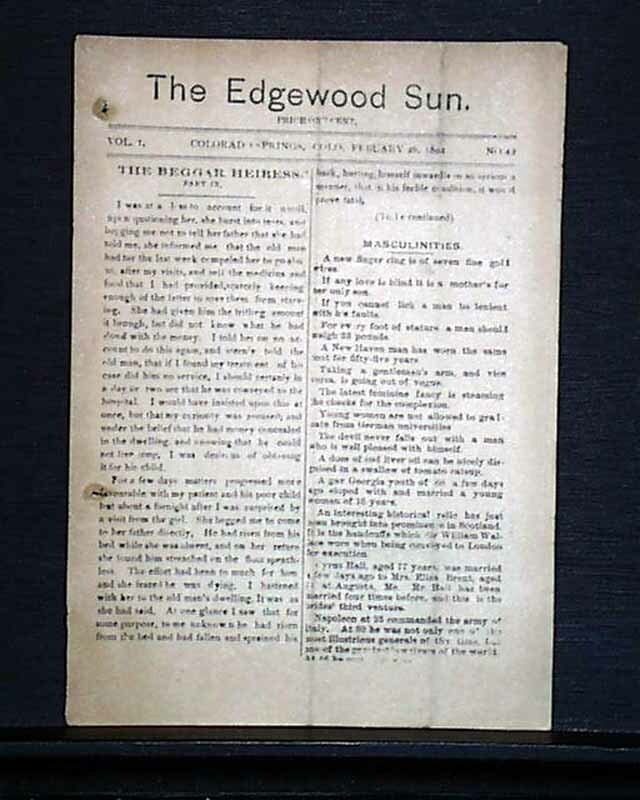 THE EDGEWOOD SUN, Colorado Springs, Colorado, February 26, 1892 I wouldn't use the term "cute" to describe many newspapers but I think it fits here. 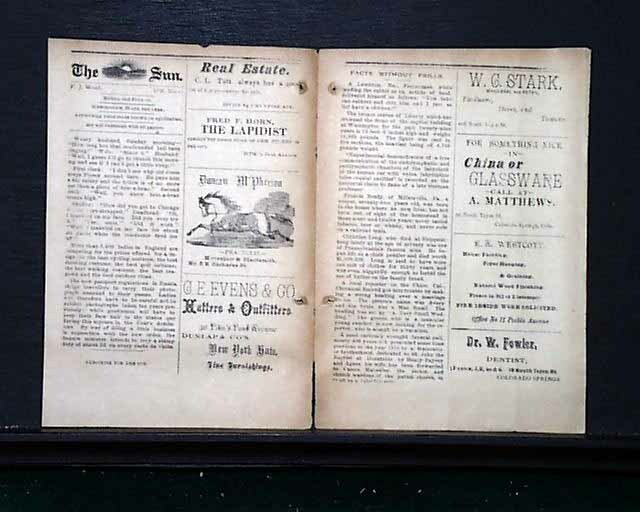 Four pages & measuring just 5 1/2 by 7 1/2 inches, it has advertisements, promotional & news tidbits, and various witticisms. 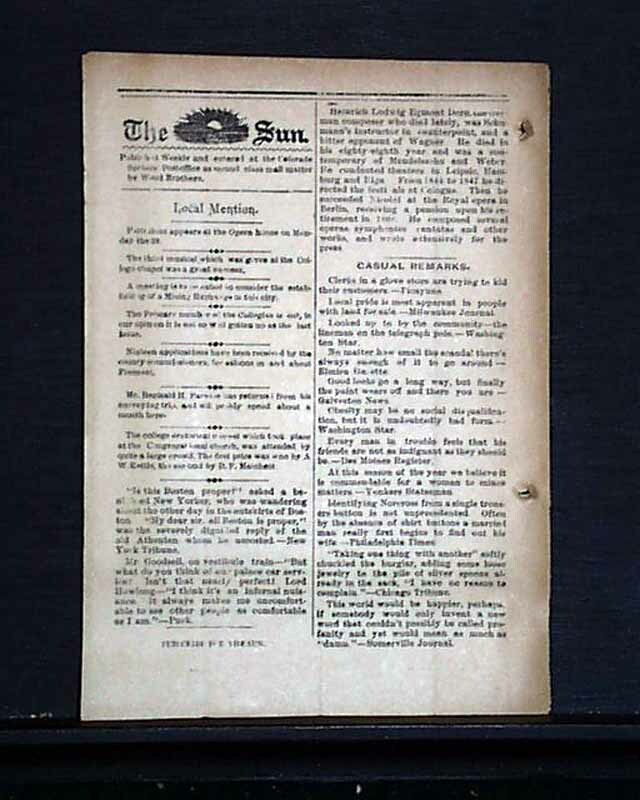 A volume one issue of a little paper that lasted for just 2 1/2 years. Toned but in good condition.